Covanta experienced an increase in occupation injuries and illnesses in 2015 as compared to 2014; however, we improved our overall safety and health performance in 2016. Specifically, in 2016, we sustained 41 recordable injuries versus 47 in 2015—even with the addition of several new business acquisitions to our reporting pool. More than 50 percent of facilities were injury free in 2016. 15 percent improvement in our OSHA recordable safety metrics. 21 percent improvement in Total Case Incidence Rate (TCIR). Injury rates significantly below U.S. all-industry average. Regrettably, we have had two employee fatalities in the last two years, one a motor vehicle accident in 2016 and the other a heavy equipment accident in 2017. These two events challenge other successes we’ve had and remind us of the need to continually evaluate program execution in the field and constantly measure effectiveness. In response, we have hired a third-party organization to review our safety programs top to bottom across the company. 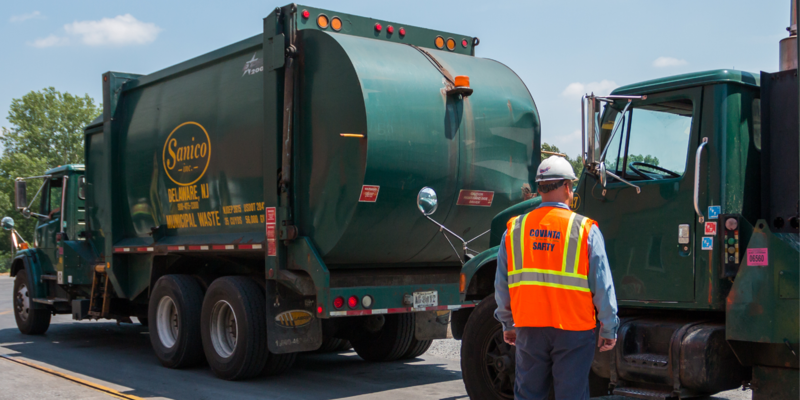 As they complete their work, we have already initiated key changes with both our truck fleets and mobile equipment operations to address the specific root causes that led to these two accidents. Driver Qualification Files: All drivers must comply with basic requirements, such as a pre-job application and annual physical. OSHA and DOT compliance training: Because our drivers are very mobile, we established an online computerized training program to help us stay in compliance. Drug and alcohol testing: We standardized this testing so it is consistent across the company. The recent fatality of one of our heavy equipment operators has led us to completely reevaluate our safety programs around heavy equipment operations. We have hired third-party experts to review our safety programs top to bottom across the company. We have replaced the seats in our heavy equipment to incorporate three and four-point safety belt systems incorporating bright webbing to both provide superior protection relative to customary lap belts and to provide a better means of verification of compliance with our seat belt policy. Several of our facilities are piloting RFID systems to alert heavy equipment operators of pedestrians in the area of their equipment. Lastly, we are evaluating all procedures for our tipping areas at all of our facilities. Safety performance requires constant vigilance. Work demands, new facility leadership, new processes and new business lines are just some of the reasons that can divert focus from safety and health programs to other issues. Safety Improvement Plans (SIP) for at-risk facilities. 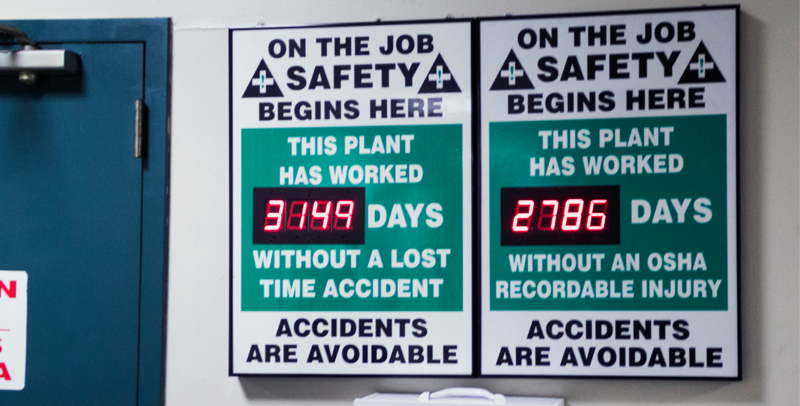 We develop comprehensive, actionable Safety Improvement Plans for certain facilities that need additional help in advancing safety performance or building a stronger safety culture. Each month, these facilities update senior management on their progress concerning action items laid out in their SIPs. When facilities improve their safety performance, they can leave the SIP program by mentoring another facility. This approach is working: Three Covanta facilities are mentoring other facilities, and one group mentors two contractor organizations. Monthly injury and Serious Near Misses leadership review calls. Each month, all recordable injuries and Serious Near Misses (SNM) that occurred in the previous month are reviewed and discussed on a conference call with senior management. All facilities are encouraged to join these calls to learn from one another. They can share ideas on how to make our facilities safer and prevent the same or similar SNMs or injuries from occurring again. Occasionally we develop company-wide safety initiatives due to these calls. For example, in an SNM event, a high-voltage electrical line was intercepted by the bucket on a piece of mobile equipment. There was no injury and only slight damage—but it could have been a lot worse. This event led to an improved process for demarcating electrical wires. Twenty-six Covanta facilities and/or groups were awarded with the Occupational Excellence Achievement Award 2016 by the National Safety Council (NSC), an organization devoted to promoting safety in U.S. industry for more than 100 years. This award recognizes companies and facilities with lost-time injury rates equal to or less than half the rate of other companies within the same industry. Over the past two years, our company has grown significantly by acquiring other businesses. After acquisition, we quickly move to integrate these new businesses into our safety program. As part of the integration process, we review all previous safety-related items—such as reportable injuries—and develop a matrix to identify our weakest areas and track progress. The disparate nature of the acquired businesses, from small shops to large established facilities, reflects a wide range of maturity regarding systems and processes. With acquisitions also come distinct cultures and expectations. At Covanta, safety is an utmost priority, and we expect work to be done correctly and safely. We extend that expectation to our acquisitions as well. In 2016, we had a 69 percent overall reduction in recordable incidents associated with those acquisitions made in 2014 or 2015.